An acquisition refers to a corporate act where it purchases either controlling interest or complete interest in another company. Companies do this by buying out the stock shares in order to gain control of it. Technically, acquisitions happen as the buyer is able to acquire an over 50 percent ownership stake in the target firm. Typically the acquirer will buy all or many of the shares of the target’s outstanding stock as well as assets. This allows them to make all decisions on the assets of the company they have taken over without needing any shareholder approval to proceed. The buyer has several choices for how to pay for the acquisition. They can do it all in cash through buying out the target’s shares, buy the company outright for cash, or use a combination of the two methods. The financial news is full of the mega merger and acquisition deals. As an example, Dow Chemical bought out DuPont in a $130 billion mega purchase back in 2015. Yet countless more medium sized to smaller businesses engage in merger and acquisition activity each and every year. There are a number of reasons for why corporations engage in such acquisitions. It might be that they want to merge their enterprise with another for better economies of scale. 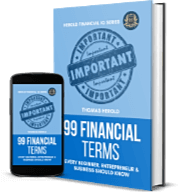 This means that the costs of doing business, producing goods, and getting them to market decreases as a company becomes larger and does more volume in sales. They may desire to command a larger market share. It could be they foresee cost reductions and better synergy. Sometimes the acquirer wants a product, service, technology, research, or technical know-how that a target owns. There are grander ambitions for acquisitions as well. Some domestic companies may want to grow their business into an international and eventually multinational corporate empire. 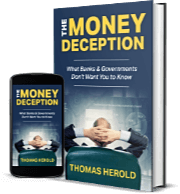 Many times the only economically practical way (and the least expensive and simplest as well) to break into a foreign market is by simply buying out a company that is already operating successfully there. This would be for the simple reasons that the target firm has a recognized brand name in the country, its own management and staff there, permission and licensing to operate there, and various intangible as well as physical assets in the country already. Besides this, the buyer will gain the solid customer base that the target has already established in the market. Many times acquisitions will happen as a natural outgrowth of a firm’s master strategy to increase its footprint in the business. The advantages to simply taking over already up and running operations versus starting new ones from scratch are considerable. Bigger corporations finally reach the stage where continuing to grow organically will cause them to decrease in operating efficiency. This can happen through too much bureaucracy as well as because of logistical or resource limitations. In such cases, the only viable means of gaining better growth and greater profits is through seizing hold of an aggressive young firm that it can simply fold into its own existing operations and revenue streams. Another good reason for making acquisitions is because sometimes the competition in an industry becomes overcrowded. This can lead to overproduction of the goods in the company’s line of business. Firms can utilize takeovers as a means of soaking up the overabundance of capacity through eliminating some competitors. It allows them to concentrate their operations on the greatest productivity providers as well. A last good motivation for pursuing such acquisitions surrounds technology and know-how. Sometimes a new bit of technology becomes developed by a competitor. It may boost productivity yet cost a great amount of time and resources to develop internally. The most cost effective way of acquiring this technology is often in buying out the firm which already possesses or developed said technology. This saves the buyer the time, cost, and hassle of doing the research and development on their own. 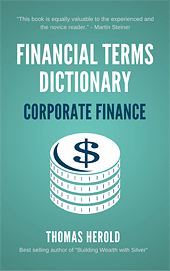 The term 'Acquisition' is included in the Corporate Finance edition of the Financial Dictionary. You can get your copy on amazon in Kindle or Paperback version. See more details here.